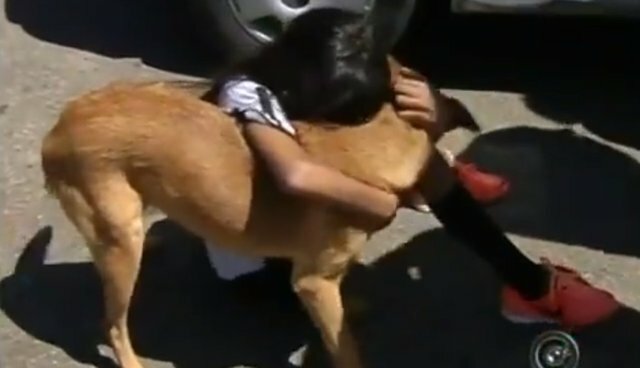 After spending nearly a week in a coma following a brutal assault by a stranger in her home, a 10-year-old girl from Pilar do Sul, Brazil has been reunited with the one whom she says saved her life during the ordeal - the family dog, a mixed breed named Kiara. The journal Cruzeiro do Sul reports that the girl had been at home alone when a stranger arrived and asked for a glass of water. When she agreed, the man came inside and began to assault her. In a panic, the girl says she called for Kiara who rushed in and began fighting back her attacker. The normally docile dog was able to drive the man away by biting his legs, but before he fled, the attacker struck the girl in the head with an object. 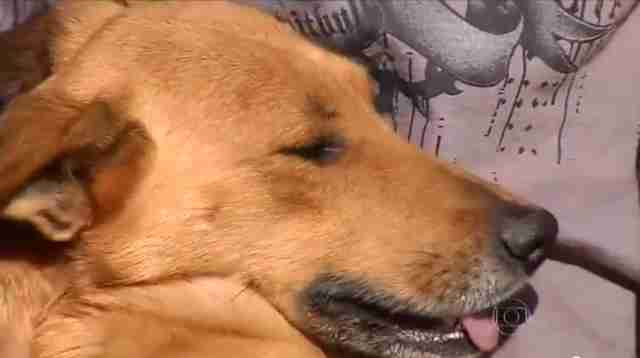 She was still alert when neighbors arrived to help, but lost consciousness soon after. The girl was then taken to the hospital and put into a medically induced coma. Her father, Sebastião dos Santos, says he had no idea that Kiara had saved his daughter's life until she woke from the coma five days later and described what had happened. "When I call to talk with her, she asks about her hero. She then went on to say that if not for the dog, she would not be here to talk with us," dos Santos told news station G1 Globo. "Today, she asked me to put the phone to Kiara's ear and she started talking and whistling to the dog. Kiara started barking and even tried to bite the phone." On Tuesday, 11 days after the attack which doctors say left her no permanent damage, the girl was released from the hospital. Once back home, she was greeted by friends and family, but she turned her attention to the dog. "Thank you for saving me Kiara," she said. "There was a time when we thought of giving Kiara away, but we won't get rid of her anymore," says the girl's father. "First, it was God who helped save my daughter. Secondly, it was the dog, our hero." Police have since apprehended a person suspected of the assault based on the girl's description of him, and a few important clues left behind by Kiara - bite marks. Portuguese translation by Stephen Messenger.